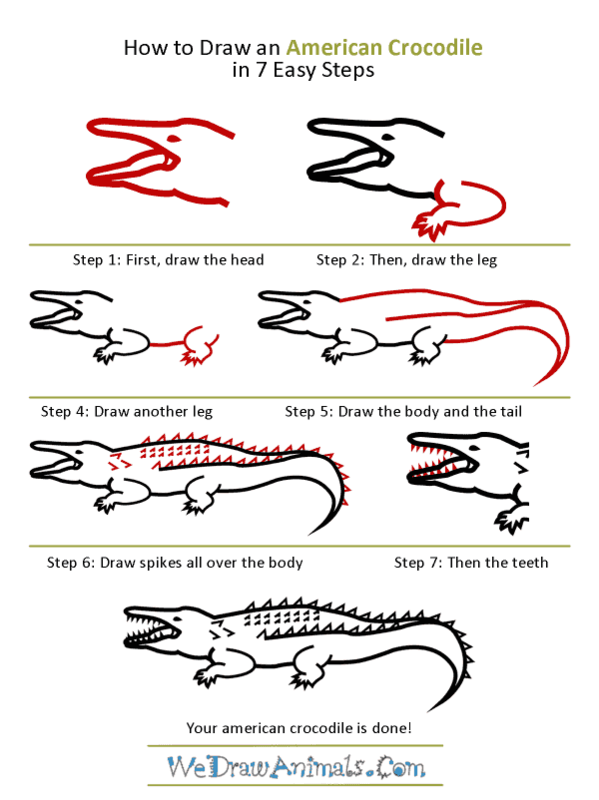 In this quick tutorial you'll learn how to draw an American Crocodile in 6 easy steps - great for kids and novice artists. 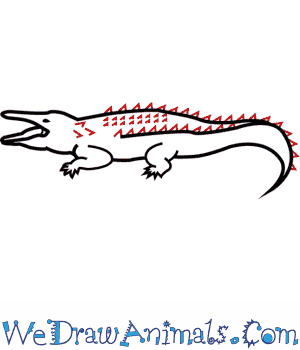 At the bottom you can read some interesting facts about the American Crocodile. 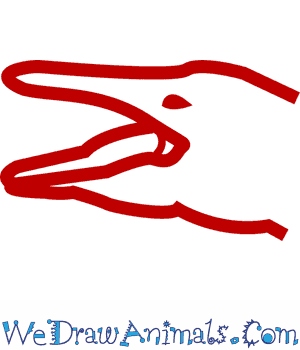 Step 1: Draw a sideways M-shape. Put a dot in the top, and add another line inside the M to define the mouth. Step 2: Draw a curve behind the bottom of the head, and a curved angle behind that. Connect the two curves with five triangles to make a front leg and sharp toes. Step 4: Behind the top of the head, draw a long curving line that ends behind and below the hind leg. 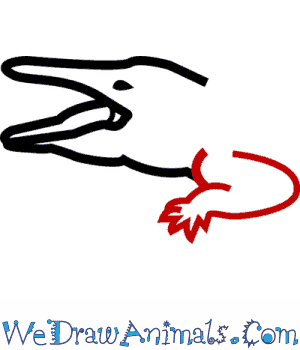 Draw a second curve that connects the hind leg to this line, ending in a sharp point. 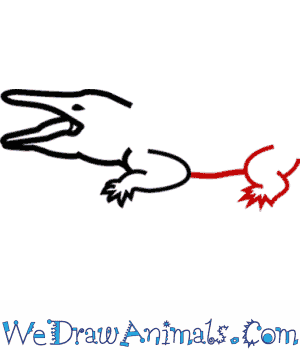 Draw a third line in the middle of the body that ends when it hits the tail. 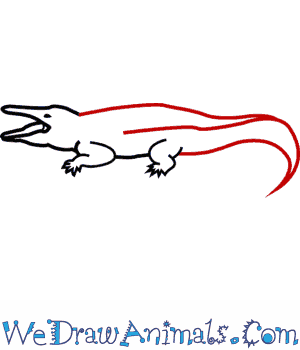 Step 5: Draw sharp spikes behind the head, on the back, and all along the tail. Step 6: Draw sharp teeth inside the mouth. Done! You can color it greyish-green. American crocodile mainly eat fish, but their bodies and hunting abilities are versatile enough to go after almost any other prey. The American crocodile is a type of large reptile crocodile that is located all along the eastern coast of the Pacific Ocean spreading from Mexico all the way to Ecuador, and down the western coast of the Atlantic Ocean. This crocodile is present in the southern area of the United States, Central America, and northern parts of South America. 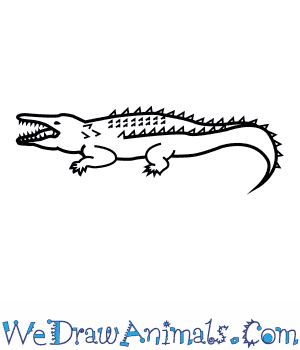 It is possible to find this crocodile in both fresh and saltwater but will most often be found in tropical welands.